I visited the mountainous eastern fringes of San Fernando City (La Union) this August 31, 2012, to inspect some concreting projects as part of my day job. I decided to bring some birding gear in the vehicle just in case I cross paths with an interesting avian subject to photograph. 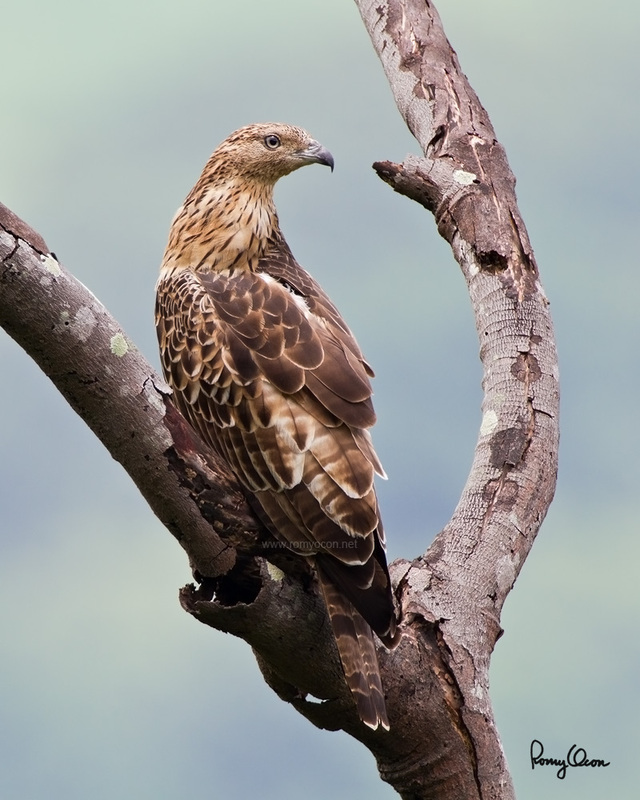 True enough, a perched Oriental Honeybuzzard loomed into view as I drove down Bacsil Ridge (site of a famous battle at the end of WWII). I was pleasantly suprised to see this species in the area, which is nestled in the foothills of the Cordilleras (near populated areas and not heavily forested). I came across the bird at mid-day, but the slightly overcast skies helped tame the harsh shadows. Luckily too, I was positioned a bit higher than the raptor, hence I was able to get out-of-focus terrestial backgrounds, instead of the usual boring sky. This could be the first record of this raptor species in this city, and even perhaps in the province of La Union. Habitat - Seen soaring above or near forest below 1500 m.
Shooting Info - Bacsil Ridge, San Fernando, La Union, Philippines, August 31, 2012, Canon 7D + EF 500 f4 IS + 2x TC II, 1000 mm, f/10, ISO 400, 1/250 sec, 475B/516 support, manual exposure in available light, uncropped full frame resized to 800x533. Shooting Info - Bacsil Ridge, San Fernando, La Union, Philippines, August 31, 2012, Canon 7D + EF 500 f4 IS + 2x TC II, 1000 mm, f/10, ISO 400, 1/250 sec, 475B/516 support, manual exposure in available light. 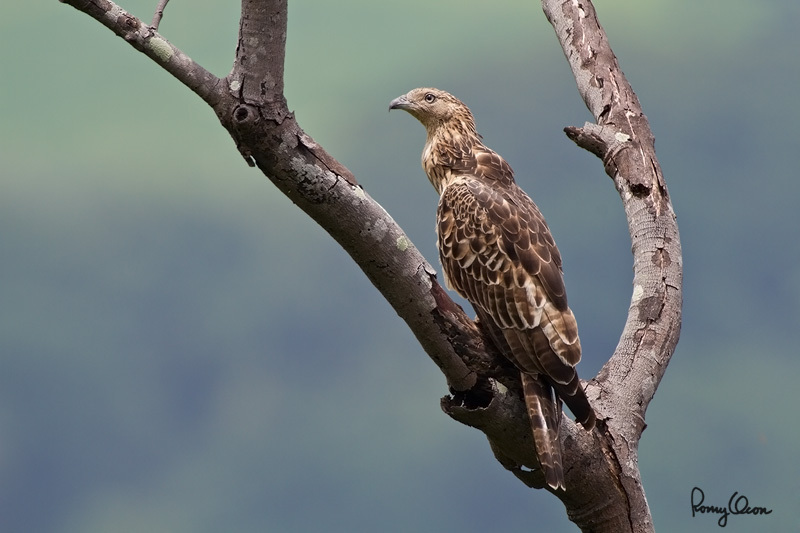 A short footage of the Oriental Honeybuzzard at Bacsil Ridge.